Support this project & our local Rotary’s entry in USA Today’s Community Service Contest. Vote at NVGreenway.org for a chance at a $100,000 prize. Andrew Mikesh will speak on the progress the Rotary Clubs of Tenafly, Cresskill/Demarest and Northvale have made to getting rid of the railroad track from Tenafly to Northvale and replacing it with a park that includes pedestrian & bike paths. We’re pleased to have as our speaker Tenafly Police Chief Robert Chamberlain. Come to our first meeting of the 2017 Chamber Year. the meeting will be held in the Clinton Inn Palmers Crossing Wine Tasting Room at 6:30 pm. Nice advertising for Chamber members – pictures of our awards event are up on Bergen.com. Thank you to John Barrett who stepped in for Senator Weinberg when she fell ill and a special thank you to Axia for sponsoring the event – the food was incredible. 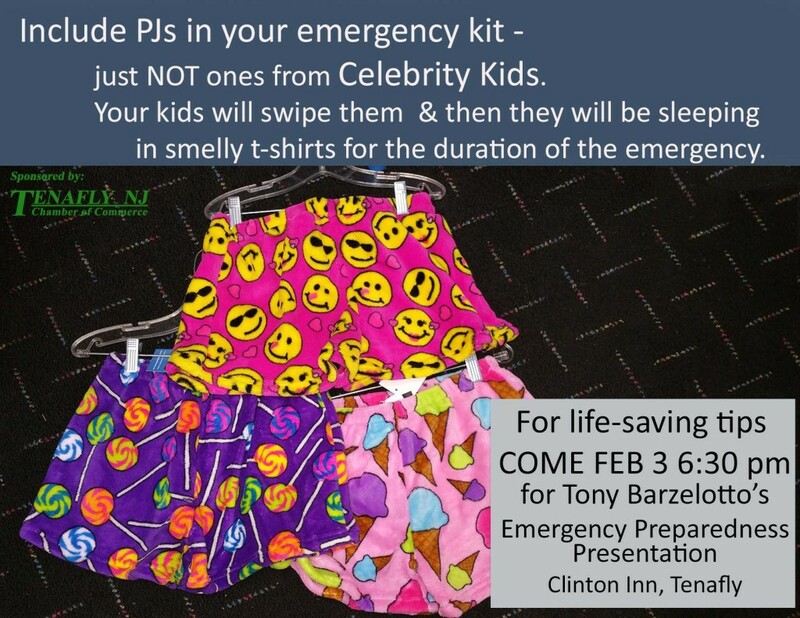 Come to LIFE SAVING TIPS from Tenafly Emergency Coordinator and Councilman Tony Barzelotto, Wednesday, February 3, 6:30 pm at the Clinton Inn. Our goal is to save someone’s life in the next 5 years. Don’t be the person who makes us fail. Sponsored by the Chamber. There will also be a discussion of the proposed changes to the snow removal regulations.